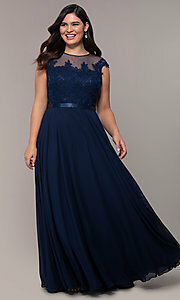 Unfortunately, the dress you are looking for (Style: DQ-2121P, Name: DQ-2121P) is no longer available. 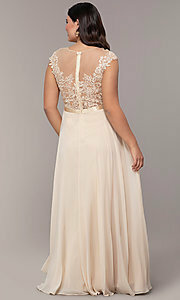 Beautifully luxurious, this plus-size long prom dress is a timeless style with glamorous details. The illusion high-neck bodice on the long formal dress has floral embroidery that flows to the edges of the cap sleeves before adorning the sheer back. 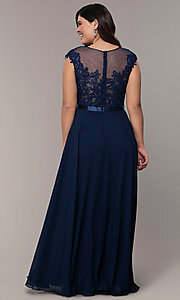 A satin band tops the fully-lined long silky chiffon a-line skirt that flows away from the hips and down to the floor. 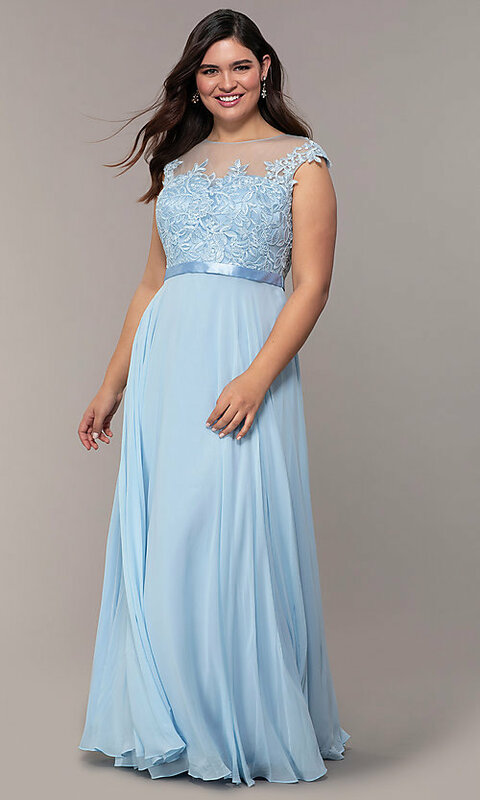 This long plus-size prom dress is gorgeous for pageants and wedding celebrations as well as for prom 2019.